Many do-it-yourself maintenance issues can come up in the house that demand a range of hardware tools. Therefore, it is necessary for every household to own a toolkit with all the utility hardware tools. 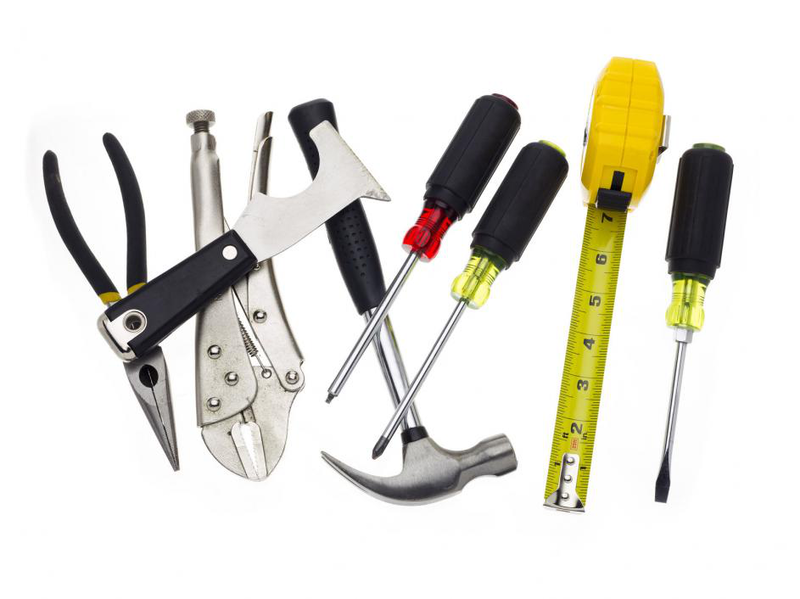 Following are some of the tools that should be present in every household to make a useful hardware toolbox. Many of the household accessories are joined together with nuts and bolts and oftentimes we need to open them up in order to fix them. Wrenches of different sizes serve this purpose. However, you can keep the volume of your toolbox smaller by getting adjustable wrench. Adjustable wrench can be fitted to different diameters of nuts and bolts and you no longer need the whole set of wretches. Also known as a mole-grip and vise-grip, these are the gripping tools with size-adjustable jaws. They are usually used to grip and open pipes, valves, nuts and other fixtures. Jaws of the pliers can be adjusted according to the size of the object that needs to be gripped. You might need to fix a leak in basement but can’t able to do it because basement is not provided with any lighting fixture. In situations like these, where you have to work in dark and tight areas, flashlights become handy. While you are laminating your table top, carpeting floor plans, or going to buy a replacement gas pipe for your stove, measuring the given dimensions are necessary to make accurate fittings. A tape measure can be very helpful in all those instances where you need accurate measurements to carry out a perfect maintenance or renovation task. Of course no toolbox can be completed without the inclusion of hammer. From pulling and pounding nails to tap the things into place, hammers can be used for a wide variety of everyday tasks in your home. Get a long-handled hammer for your toolbox because it is easier to work with. This tool can be very helpful for you if you are doing some in-house electrical task involved wires. They contain blade and jaws that help to cut the wire into suitable pieces and to remove the insulations of the ends to make electrical connections. It can also be a valuable addition to the range of your hardware tools. From scraping dry walls to shed the edges of carpet, it can help you to work efficiently. You should have a box of different variety and sizes of nails and screws. In any in-house maintenance/ renovation jobs, this box will save you from a visit to the hardware store for just a couple of nails and screws. By having all these tools in your house, you can make your hardware-involved domestic jobs more convenient.